It appears, to me, that there are three major types of comic book-to-film adaptations. The dark, gritty kind cemented in realism (The Dark Knight), the we’re-having-fun-just-for-the-sake-of-having-fun kind (Iron Man) and kind that takes itself way too seriously (Daredevil, Jonah Hex). There are subsections to each of these categories, but this is usually how the game is played. And just because The Green Hornet so clearly, and purposefully, belongs in the second category (the fun one), that doesn’t mean it should be cut any slack. Michel Gondry’s boring, never-ending mess of a film, in which a spoiled rich brat and his talented Asian sidekick try to fight all of the crime in LA, has all the standard elements of a comic book flick, which could be its main problem. The drawn out action scenes seriously suffer from Transformers fatigue, while the appalling “acting” only makes you question how the hell some of the cast are considered A-listers. Look, The Green Hornet isn’t trying to win any Academy Awards, I get that. But despite the fact that it openly embraces its place in the world as a throwaway popcorn flick, its dialogue isn’t funny, its special effects aren’t impressive, and its runtime isn’t short enough. 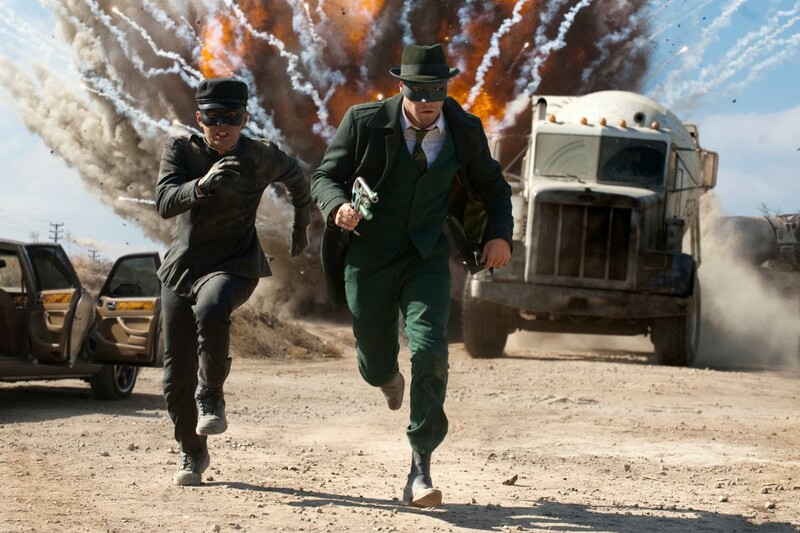 The Green Hornet has been slaving away in production hell for years now, and it’s a shame that the hip Euro dude who made Eternal Sunshine of the Spotless Mind can’t elevate its status. Gondry is a true visionary, and it’s disheartening to see his inventive methods trumped by a cookie-cutter story.